Product categories of Non-woven Fabric Product, we are specialized manufacturers from China, Non Woven Shopping Bags, Non Woven Masks suppliers/factory, wholesale high-quality products of Nonwoven Fabric Bags R & D and manufacturing, we have the perfect after-sales service and technical support. Look forward to your cooperation! Non-woven products are degradable and environmentally friendly. 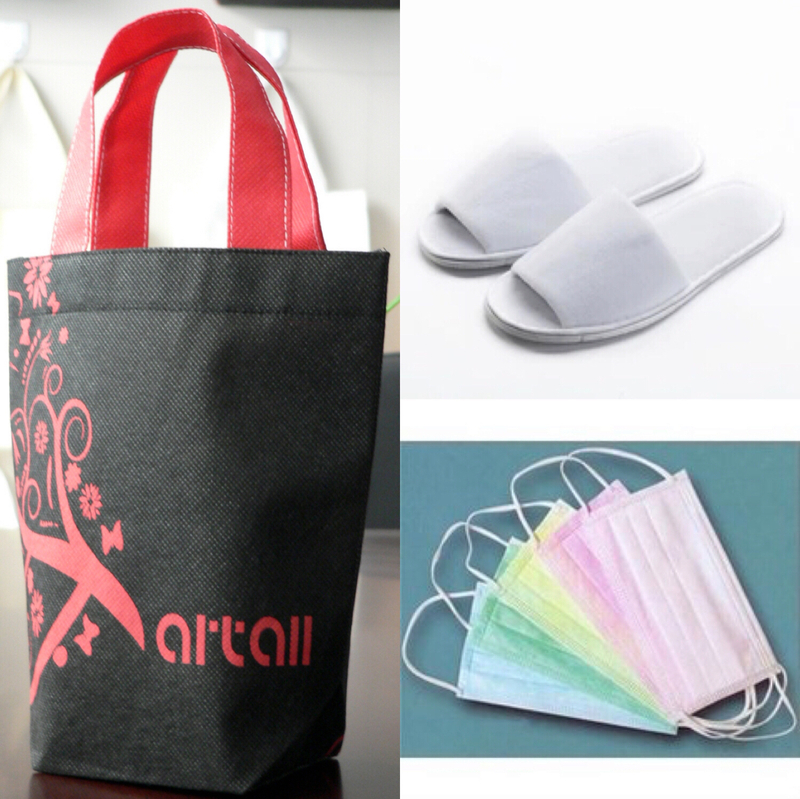 The company is specialized in three main products: green bags, Disposable Slippers, and Non-woven Masks. There are various types of these products that of high performance and high quality. Meanwhile, the shape of these products is customizable, so that we are willing to provide a sample according to customer requirements. If you have any question about the nonwoven product, please contact us directly. We will reply you as soon as possible.